In 2011, Steven Spielberg directed the film “The War Horse.” For many viewers, the world was enlightened by the dangerous and courageous work done by horses. This is the centennial year of the “Great War.” World War I relied not only on soldiers and horses for battle, but more than twenty thousand dogs were involved in the war effort. The Germans, as well as the British and other European allies, trained dogs of many different breeds to fight in the war. The idea that so many dogs have been placed in war zones and then abandoned has outraged many soldiers, not to mention others. To add insult to injury, so many breeds of dogs that helped in the war effort have also been unfairly judged by society. Insurance companies and landlords, for example, have put too many restrictions on “man’s best friend.” As a result of these punitive measures by landlords and insurance companies, intelligent, and faithful dogs have been placed into dog shelters with the hope of being adopted, or just abandoned. Abandoned dogs do not fare well. Thankfully, so many people have recognized the unfairness and mistreatment of military dogs as well as specific breeds of dogs at home. Whether a dog is navigating a foreign minefield or escaping from a rural fighting kennel, certain dogs face many extraordinary challenges. Prejudice comes in all forms. Humans and canines are faced with many challenges. Fortunately, dog adoptions are rising in great numbers and negative perceptions of dog breeds are changing. After researching and reading about the “Dogs of War,” I decided to write my second dog book. 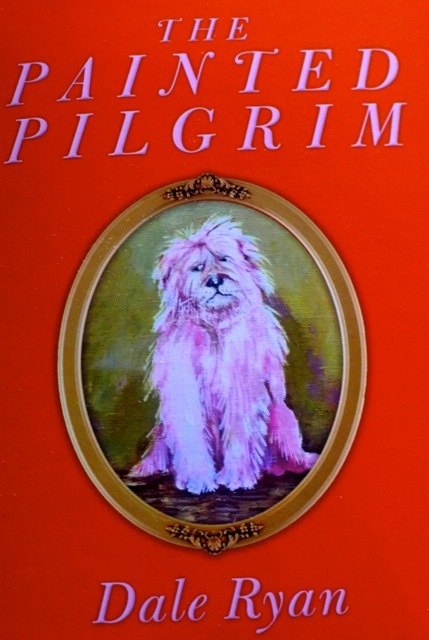 The Painted Pilgrim is about a very unusual dog named Pellegrino. Pellegrino is an intelligent, lovable, and sensitive dog. At the same time, he is a bright pink dog. He is not your “garden variety” type. Meanwhile, two characters in the book want to adopt him but their intentions for wanting him are not the best. On the other hand, the director of the shelter is very vigilant and on high alert when it comes to her wards. Luckily, Pellegrino has his two buddies by his side, a pit bull name Buddha and a terrier named Blossom. For young readers, The Painted Pilgrim has lots of intrigue, mystery, and irony. The book is illustrated and comes in both paperback and e-book editions. http://wardogsmakingithome.org/ This an active charity that partners veterans with PTSD with shelter dogs. http://warriordogfoundation.org/ Warrior Dog Foundation helps to transition dogs from an operational environment into a state-of-the-art kennel facility, caring for each individual SOF K-9 with dignity and grace, including both mental and physical rehabilitation for the rest of their lives. 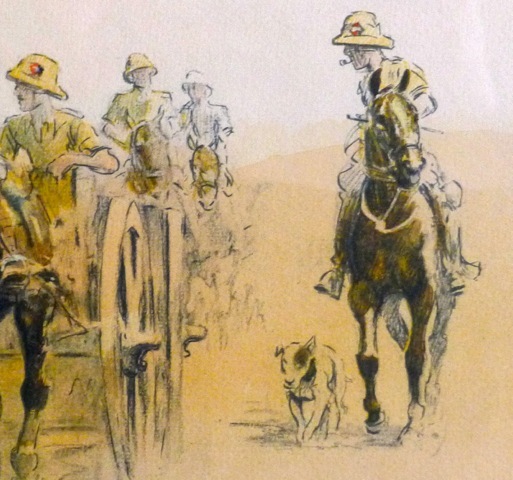 Photos: Dale Ryan, the author, at the GSPCA in Guernsey • Artwork from Dale’s book “The Painted Pilgrim,” which will be released on 1/15/15 • A print, owned by Dale Ryan, from WWI by the British artist, Snaffles, showing a regiment with its dog. * Dale Ryan is the author of Sleeping With The Beast, which was chosen for the Los Angeles Times 2012 Summer Reading List. Dale’s new book, The Painted Pilgrim will be released on 1/15/15. Dale lives in Litchfield, CT with her husband and two dogs.